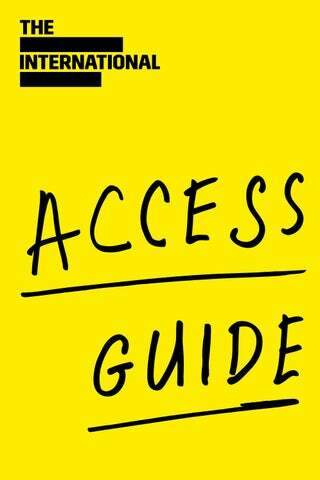 How To Book Telephone +44 (0)131 473 2056 Textphone prefix 18001 In person Hub Tickets, The Hub, Castlehill, Edinburgh EH1 2NE To ensure that you don’t miss out on any important information or discounts, please advise Hub Tickets staff at the time of booking which access service you require. Tickets can be sent as an e-ticket, collected from Hub Tickets in advance or picked up at the venue from one hour before the start of the performance. A transaction fee of £1 per ticket, up to a maximum of £5, will be added to all bookings. You can have your tickets posted to you for a £1 postage fee. Discounts People with disabilities can buy tickets for the area of the venue most appropriate for their needs for the lowest (unrestricted view) ticket price for that performance. Essential companion tickets are free. To enable us to determine your requirements and assist you fully we are unable to offer access discounts online. Audio Description An audio describer provides a live commentary of the visual elements of a performance which is broadcast though a personal headset. They will describe the action such as where the characters are on stage, what they’re wearing, how they gesture and what the set looks like, without intruding on the actors’ dialogue. The commentary begins 15 minutes before curtain up. Prior to an Audio Described performance, a touch tour offers people who are blind or partially sighted the opportunity to get up close to a selection of costumes and props. The describer gives a full account of the items that you are introduced to and how they feature in the performance. Tickets for Touch Tours are free but should be booked in advance. International Festival Venues The International Festival has 13 venues across the city. To ensure your visit is as relaxed and enjoyable as possible we have included information about travelling to the venue and what to expect when you arrive. Venue staff will be on hand should you require any assistance during your visit, but if you would like any specific information about venue accessibility in advance please use the contact details provided at the bottom of each page. All our performances are wheelchair accessible and assistance animals are welcome. Ross Theatre and Princes Street Gardens Princes Street Gardens, EH2 3AA Getting there Travel restrictions will be in place for the Virgin Money Fireworks Concert. For up-to-date information contact Hub Tickets or visit the eif.co.uk closer to the event. The Hub Castlehill, EH1 2NE Getting there Travel restrictions will be in place for The Royal Edinburgh Military Tattoo. For up-to-date information contact Hub Tickets or visit the website closer to the event. 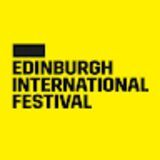 Information about accessible performances at the 2018 Edinburgh International Festival and access at our venues.